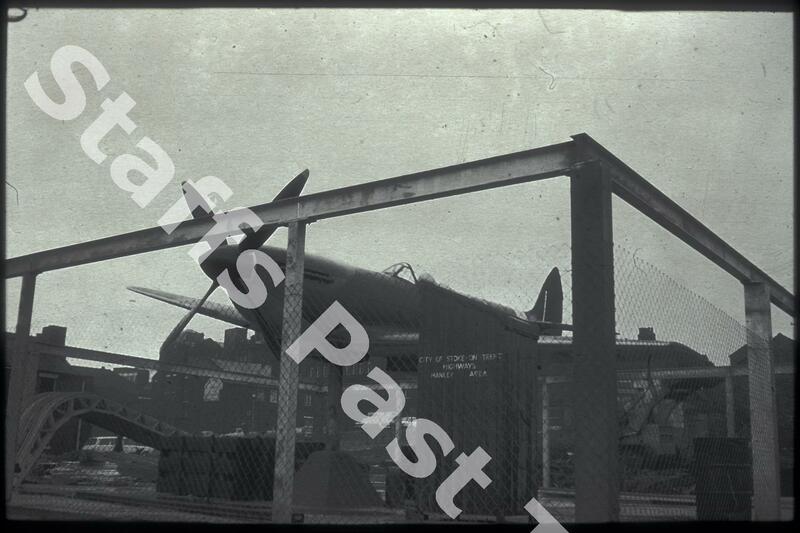 Description:The temporary display "greenhouse" for the Mk XVI Spitfire under construction in early 1972. This Spitfire RW 388 was designed by R J Mitchell and served with the RAF towards the end of the Second World War. 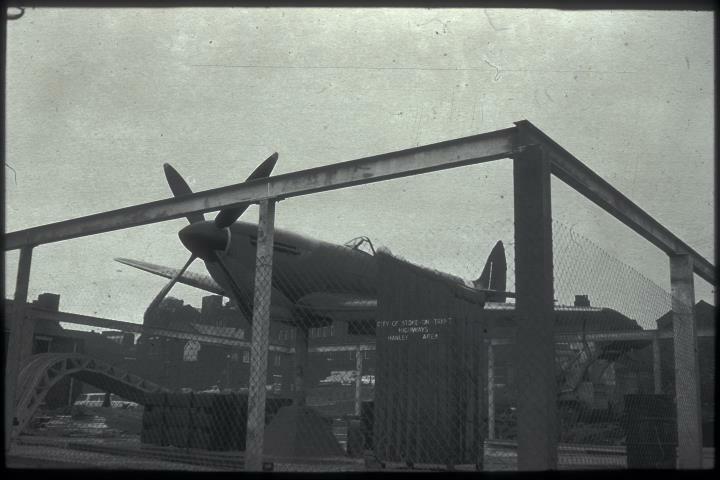 Installed in 1972, the aircraft was later moved into the main Potteries Museum to avoid deterioration of the airframe. The display house was built on the site now occupied by Stoke on Trent Crown Court Centre.